Hello and welcome to the 187th instalment of the SWD. Between 30 and 40 civilians have died after a coalition airstrike hit Badu neighbourhood. This is the deadliest strike committed by the US air force since the beginning of Raqqa offensive. Moreover, there are more than 224.000 displaced people from Raqqa area since April; up to 25,000 civilians are still trapped inside the city as fight intensifies. Opposition sources report that FSA repelled an infiltration attempt by the government forces at Abu al-Zandin village, located west to Al-Bab. Hayat Tahrir al-Sham (HTS) arrested the media activist and athlete Ahmad al Hunayni in Kafr Nabl city. A car blast hit the city of Latakia, which lead to some unknown number of injuries and casualties. Allegedly, the explosion took place near a government checkpoint. HTS has blown up an SAA tent in northern Lattakia. The Islamic State claims to have killed 11 soldiers of the Qalamoun Shield forces, some of them were from the Al-Tal reconciliation deal. The Syrian Arab Army and the allied forces targeted the positions of the militants stationed in the vicinity of Morek town. Additionally, SAA captured Jubb Dukaylah al Janubi, Dakilah and Umm Hartayn in Hama countryside. 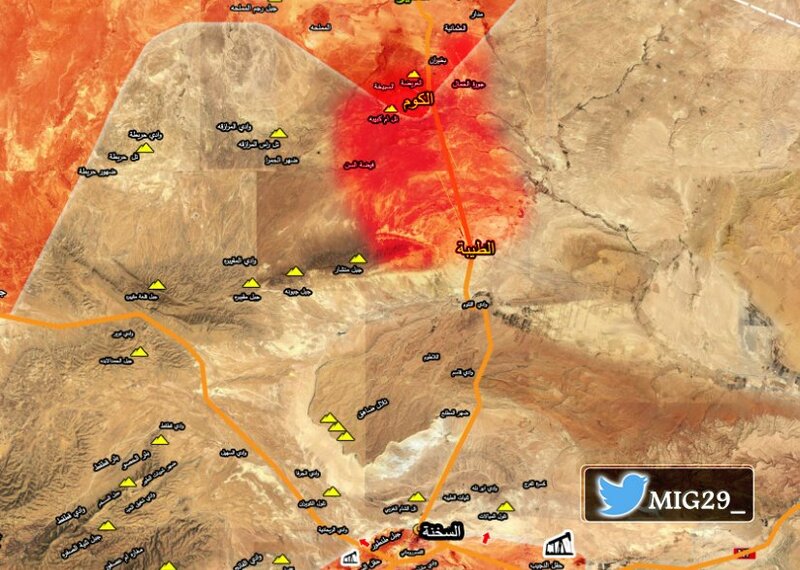 The Syrian Arab Army elite unit Tiger Forces have captured the mountain overlooking Al-Taybah village. Late reports suggest that Tiger Forces stormed the city, which may be captured by government forces this night. Reports indicate that government forces control the city of Humaymah in southeastern Raqqa after clashing with ISIS forces. Government forces and opposition forces have shelled each other today. The rebel-launched rocket killed five at the Damascus trade fair. Government shelling targeted Ayn Tarma and Jobar. This mutual shelling shows that the ceasefire does not work, even when Russia is implementing it, too. On the 19th of August 2017, CJTF-OIR has conducted six strikes in Syria. CJTF-OIR‘s main focus in Syria is Raqqa region where they did five strikes supporting SDF‘s operations against IS destroying three fighting positions. Another area where one strike occurred is Deir ez-Zor destroying 10 ISIS oil storage barrels. The full report on CJTF-OIR strikes conducted in both Syria & Iraq can be found here.